I am receiving the above-mentioned error while deploying the reports from AOT and Microsoft Administration Management shell. I have followed below mentioned steps to resolve the issue. Open the development workspace or press Ctrl+D (key). 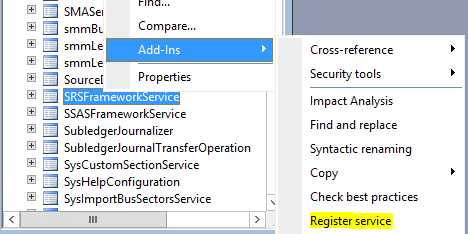 Register the SRSFrameworkService & SSASFrameworkService as mentioned in the below screen. 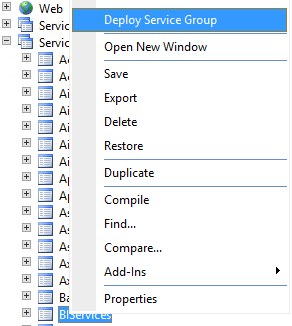 Deploy the BI services from AOT. Thanks for reading my blog posting. If you have any questions/suggestions, please do comments below. Click on follow button and enter your email address to get latest updates from the blog.